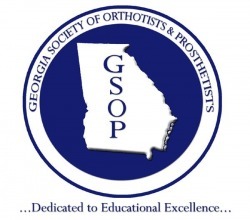 The Georgia Society of Orthotists and Prosthetists(GSOP) would like to welcome all visitors to the State's website. This website will serve many purposes. Over the past several years the GSOP annual meeting has grown in numbers. One of the goals of this website will be to reach out to orthotists, prosthetists, certified fitters, mastectomy fitters, pedorthists and technicians who may not have heard about Georgia's annual meeting. GSOP's mission statement is "Dedicated to Educational Excellence in the Advancement of the Field of Orthotics and Prosthetics in the State of Georgia."